A new study has reported the levels of alcohol brief intervention in Primary Care are ‘extremely low’ in England and investment through training and incentives would be cost-effective. The study therefore raises questions over what has happened with efforts to implement brief interventions in Primary Care and whether they will be considered as part of the forthcoming national alcohol strategy. In England, brief interventions became widely known as ‘Identification and Brief Advice’ (IBA) following national efforts to support their implementation including the ‘Direct Enhanced Service’ (DES) in 2008. The DES allowed GP practices to claim a payment for each new patient screened using a validated initial ‘identification’ tool such as the FAST or AUDIT-C, though raised questions over to what extent it resulted in geunine interventions. In 2015 the DES came to an end but was integrated into the main GP contract and it was claimed monitoring would continue, though no findings have been shared by PHE as yet. Meanwhile IBA was also included as part of the ‘NHS Health Checks’ programme offered to all adults aged 40-74 and is now part of a national CQUIN to incentivise IBA in hospitals. The new research though suggests that investing in training and incentive payments would be cost-effective at raising delivery rates of Primary Care IBA, where the evidence for its delivery is strongest, and thus deliver sufficient health returns to justify the investment. In 2016 research indicated less than 7% of risky drinkers reported receiving advice from their GP compared to 50% of smokers, despite 95% of people reportedly being comfortable to discuss their alcohol use. Last year two reports highlighted similar concerns over missed opportunities for further Primary Care activity in Scotland. Implementation issues… and innovative responses? In 2015 a report had called for action to bolster IBA delivery including a national training centre and attention to properly assessing what was happening ‘on the ground’. The report argued that the IBA agenda was at a ‘turning point’ and without further efforts to embed IBA, longer term implementation would fail. Whilst the picture of the extent and nature of IBA delivery in Primary Care remains hard to assess, gauging the level of training amongst Primary Care roles also largely comes down to guesswork. No formal training requirements have existed, though various local training programmes have been employed alongside the option of IBA e-learning. Cuts to public health budgets have no doubt hampered the potential for local training provision in more recent years, yet a range of IBA projects had been developed across other settings. In Scotland, a national target reportedly delivered around half a million alcohol brief interventions (‘ABIs’) in conjunction with a national training programme, whilst investment in the Welsh programme had seen a popular ‘Have a Word’ identity. In England, several areas adopted ‘IBA Direct’ projects as a street based engagement approach whilst an IBA commissioning toolkit was also promoted. Efforts to implement IBA within the Army have also been seen alongside calls to train the ‘wider public health workforce’. The rise of online interventions and apps has certainly been notable, with some based specifically on brief intervention principles. Not to forget Primary Care? Depsite the wide range of projects and settings, researchers may continue to point to the long-running question of where brief interventions can work and under what circumstances. Indeed previous research on IBA in non-health settings was unable to determine the likely effectiveness, and therefore some may argue Primary Care delivery, including by nurses, should remain the focus for any investment. The new study may certainly add weight to that argument and to calls that cuts to public health initiatives are a false economy. 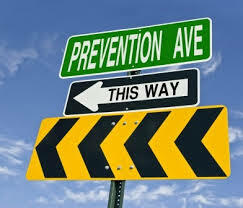 Whether brief intervention approaches will feature in forthcoming national alcohol strategies remains to be seen, but many will feel they still have an important role to play as part of the ‘intervention mix’ needed to reduce alcohol misuse and harms.